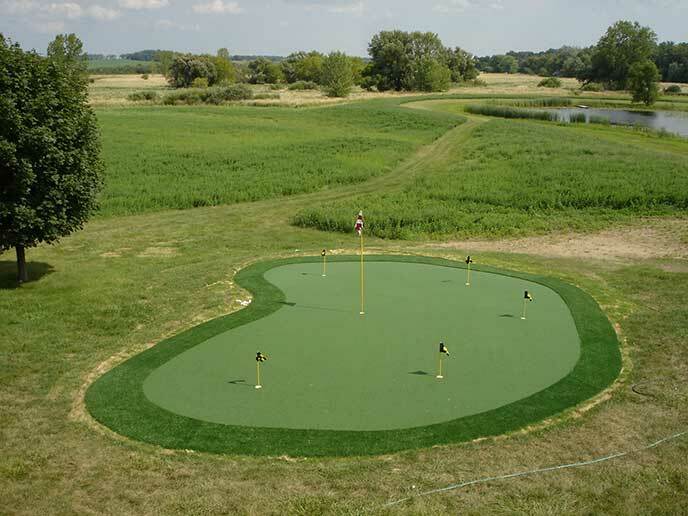 Enjoy golf at your leisure with your very own Turf Masters Outdoor Practice system. Practice your short game with our revolutionary design combining the best turf with the perfect base to create the ultimate putting green. The green is designed within the confines of a smaller area and becomes an integrated part of the backyard landscape. 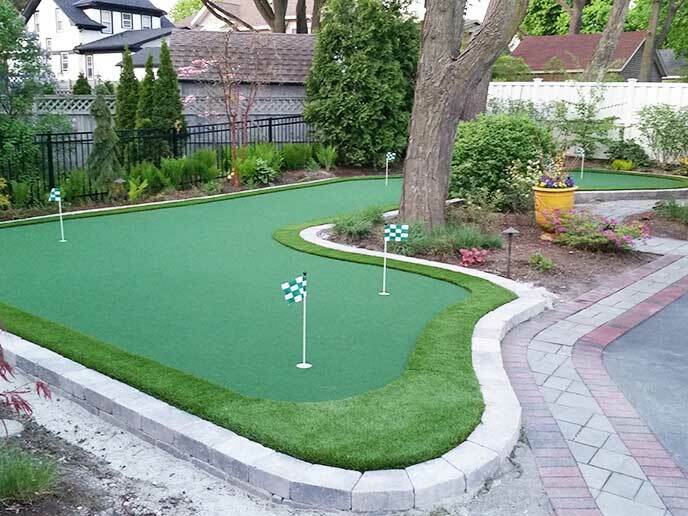 Finishing requires bordering greens against gardens, patios, sidewalks, fences, pools and grass. The Golf Course Style practice system makes use of large open areas. 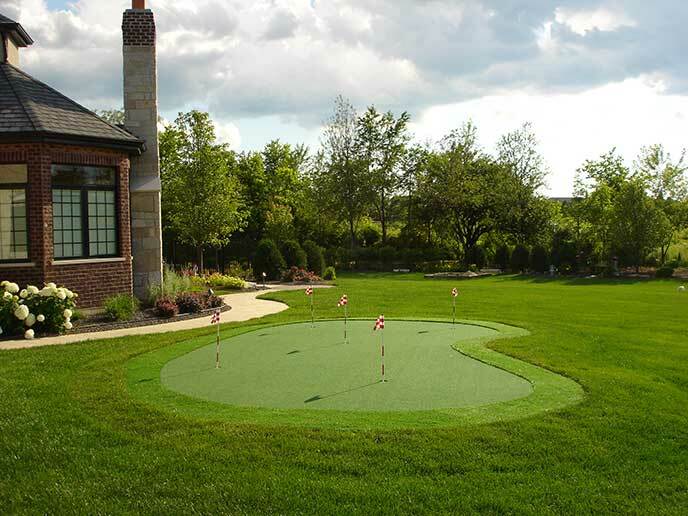 By adding fringe and grass turf, bunkers, berms and a modular tee box to the putting green, you have a golf course design in your own backyard! 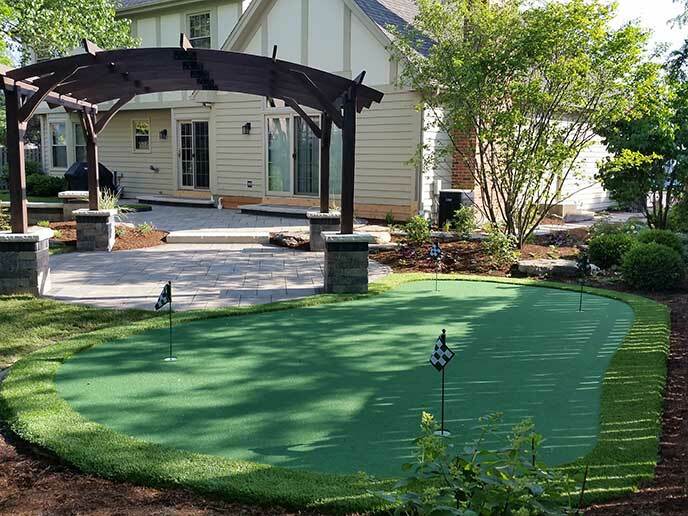 Outdoor practice systems can be installed on any hard surface such as compacted limestone, decomposed granite, concrete, wood, foam, dirt or even just low-cut grass. Great for replacing tennis courts, basketball courts, unused play-set areas, swimming pools, decks and patios.